Surrendering your life to Jesus is the greatest decision you will ever make, but that's just the starting line. Many of us begin following Jesus without a realistic expectation of the price required to finish our spiritual race. As a result, we lose heart when the road becomes difficult. 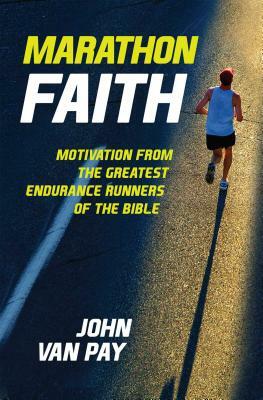 In Marathon Faith: Motivation from the Greatest Endurance Runners of the Bible, pastor and marathon runner John Van Pay offers help. Van Pay encourages readers by showing how the "endurance runners of the Bible" overcame obstacles on their faith journeys. By sharing personal adventures, humorous mishaps, and grueling struggles from his own endurance races, Van Pay shares how God helps when life gets tough—and how you, too, can finish strong. JOHN VAN PAY is the founding and lead pastor of Gateway Fellowship Church in San Antonio, Texas, the fastest growing church in America in 2016, according to Outreach Magazine. He has finished seventy endurance events, including the IRONMAN TRIATHLON. John, his wife, Stephanie, and their three children live in Helotes, Texas.